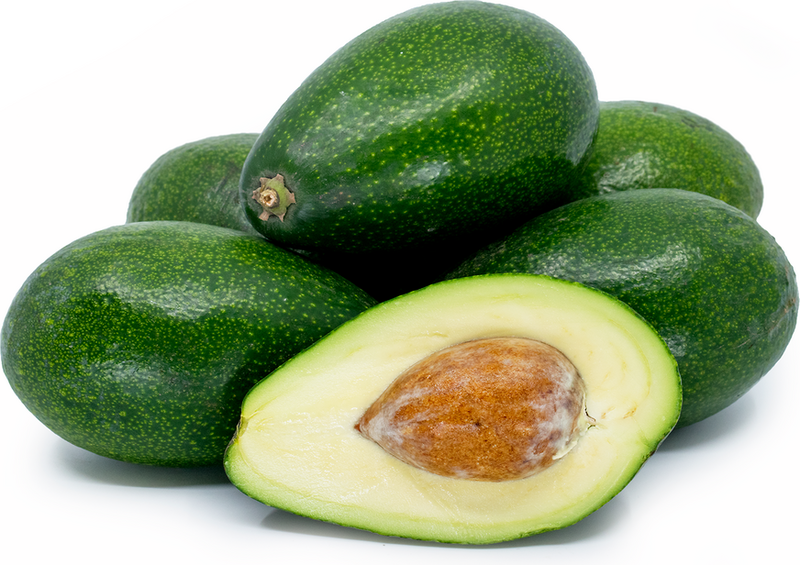 Bacon avocados are oval-shaped and have smooth, thin skin that is dark green in color with faint speckles throughout. Their flesh is pale yellow-green, and it is less oily than Hass avocados but equally as delicious, with a buttery and creamy texture. 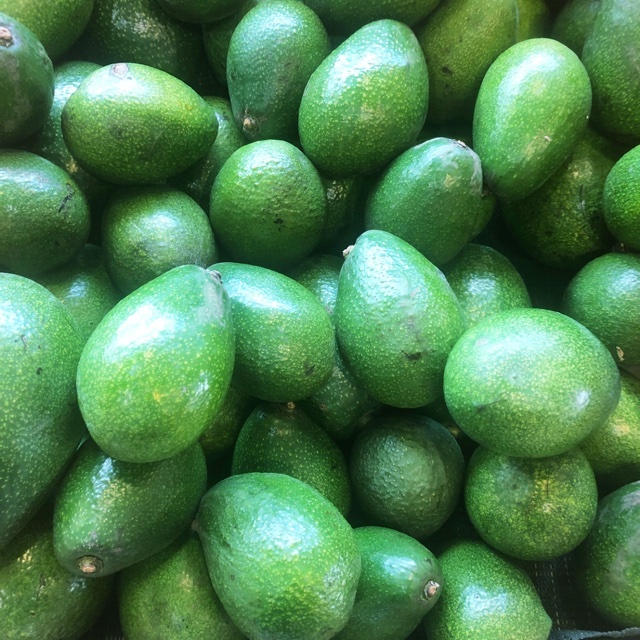 The central pit in Bacon avocados is large, taking up a substantial amount of flesh in the fruit, and it has a tendency to make the seed cavity mold, making the fruit highly perishable when ripe. The Bacon avocado tree is a medium sized tree with dark green, glossy leaves, and it can reach an average of fifteen to twenty feet in height. It is a late-producing variety with an upright and spreading growing habit, and it yields large amounts of the six to twelve ounce fruit. Avocados are one of the few fruits that do not ripen on the tree, which allows growers to store mature avocados on the tree for several months and have greater control over the harvest volume. Bacon avocados are available mid to late winter. Avocados are members of the Lauraceae family, which includes the plants that produce edible cinnamon, camphor, sassafras and the herb laurel, also known as bay leaf. Avocados are scientifically called Persea americana Mill., and are botanically classified as a berry. There are three races of avocados: Guatemalan, Mexican and West Indian. While each has distinctive features, cross-pollination permits the development of unlimited varieties. The Bacon avocado is considered a Mexican variety. Avocados are also identified as being either Type A or Type B, in reference to their flowering type. Production is thought to be best with cross-pollination between two cultivars, one of each flowering type, although the Type B Bacon avocado tree is self-fertile and does not require another variety in order to have a successful harvest. Avocados are second only to olives among fruits in oil content. However, the oil in avocados is known for being high in monounsaturated fatty acids, which are considered relatively healthy and may help to reduce blood cholesterol levels. Avocados are also a good source of dietary fiber, vitamin C, vitamin K and folate. When served with other fruits and vegetables, avocados have the ability to act as a nutrient absorption booster as they enable the body to absorb more fat-soluble nutrients. Bacon avocados are exceptionally easy to peel and have a light, creamy flavor that compliments almost any dish. The high fat content of avocados combines particularly well with acidic fruit and vegetables, such as citrus and tomatoes. The avocado is most commonly eaten raw, as the tannins in the fruit can result in a bitter flavor after prolonged cooking or exposure to direct heat. Enjoy avocados as a dip, sliced into a sandwich, or simply sprinkled with a little salt. Store avocados at room temperature until fully ripe. If you want to slow ripening, immediately store avocados in the refrigerator, as they will not continue to ripen when they are refrigerated. Whole, ripe avocados will keep for two to three days in the refrigerator while cut avocados will keep for a day or two. Avocado flesh darkens when exposed to air, so to prevent discoloration sprinkle cut avocados with lemon juice or vinegar and cover in plastic wrap before refrigerating. Until the mid 20th century the avocado had a reputation as an aphrodisiac, which actually discouraged some consumers. During the 1920s, growers sponsored a promotional advertising campaign in the United States to deny that the avocado had powers for inducing sexual prowess. The Bacon avocado is a hybrid of two Mexican avocado varieties, and it was originally cultivated in 1954 by James Bacon in Buena Park, CA.  Nearly all varieties of avocado trees can grow successfully in areas with mild winters. 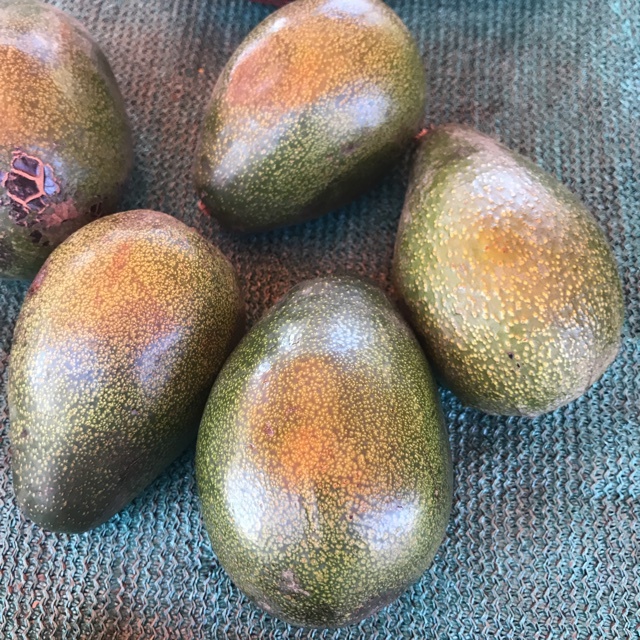 As a more cold resistant cultivar, hardy to twenty-five degrees, the Bacon avocado is also a popular variety in areas with lower winter temperatures and is said to be a good choice for avocado aficionados in USDA hardiness zones nine and ten. It is a minor commercial variety in California, thriving in areas such as San Francisco and California's Central Valley, and it does have some history of success in Florida as well. People have shared Bacon Avocados using the Specialty Produce app for iPhone and Android. Sharer's comments : Smaller Organic Bacon avocados. 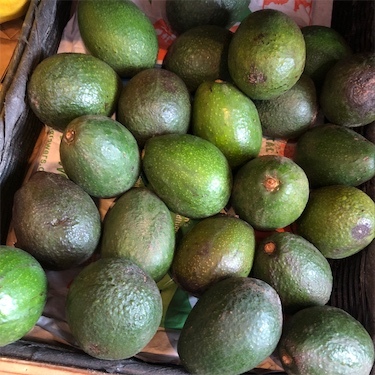 Sharer's comments : Bacon Avocados spotted at Ocean Beach People's Organic Food Market. 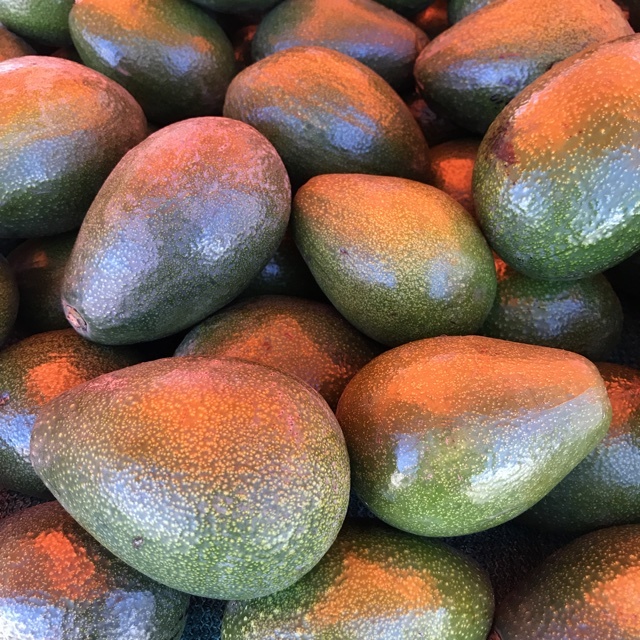 Sharer's comments : Bacon Avocados spotted at Poway Farmers Market. 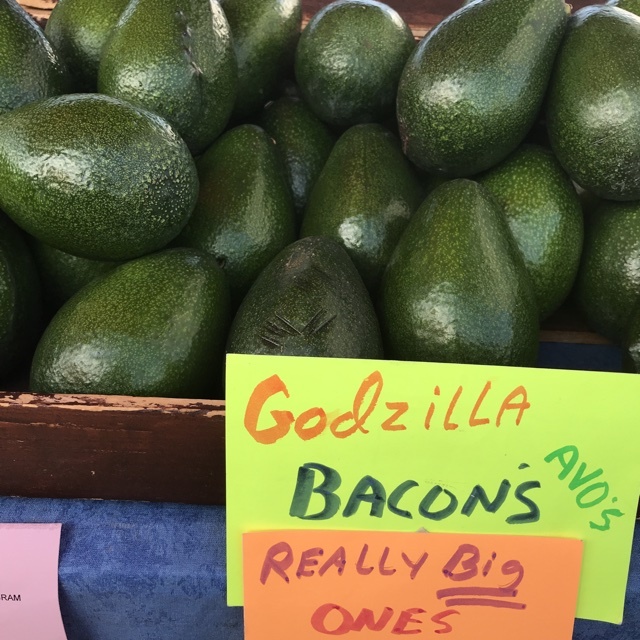 Sharer's comments : Bacon Avocados spotted at Hillcrest Farmers Market. 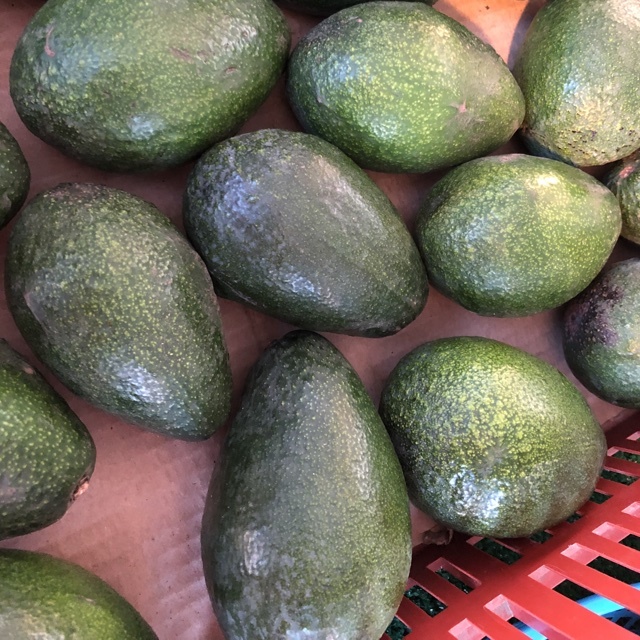 Sharer's comments : Bacon Avocados spotted at Encinitas farmers market . Sharer's comments : Bacon Avocados spotted at Vista Farmers Market.